Interline manufacturing is a fully Australian owned company, with a reputation for producing quality work and meeting tight deadlines. 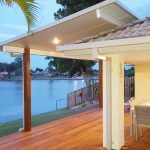 Specialising in metal fascia and gutter bracketry components, Clipsnap range, fasteners, Tekkit pens, Metal Roof Battens (now offering delivery service) and Patio Systems, Interline also produce quality custom products to meet their clients diverse needs. With modern building codes constantly changing and developing, Interline knows it is essential to continually research and redevelop their product line. Interline believes every product can be even better. Interline, based in Brisbane, is a very knowledgeable organisation backed up by three highly experienced directors located in Coffs Harbor, Bundaberg and Port Macquarie. With clients across Australia and New Zealand, Interline is the number one choice of the roofing industry.